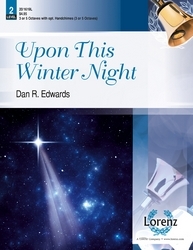 This Christmas cantata is a faithful retelling of the Christmas story, the gospel, in song and narration, and a wonderful mixture of the new and the old, the traditional and the freshness of the contemporary. The narrations are deep and insightful, demanding much passion and heartfelt emotion. 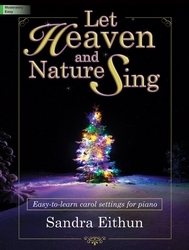 The choir will enjoy these choral arrangements, including one of Jack Schrader's top-selling pieces, "Mary, Did You Know?" The work makes a strong impact when done with simply choir, piano, and narration; however, full orchestrations are available. Also, the narrations are perfect to suggest the inclusion of costumed actors creating tableaux of the various scenes, so, the work may be fully staged or as simply presented as necessary. Go Tell It! 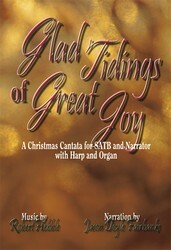 has moments of quiet worship and reflection, as well as the exuberant times of joy and celebration. 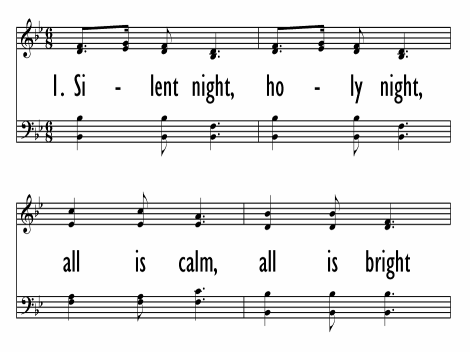 The congregation is frequently involved, being asked to sing on four occasions, which leads to a satisfying experience for all who participate. Performance time is approximately 39 minutes. The Orchestration contains a full Conductor's Score and parts for: Piano/Rhythm, Bass, Flute, Oboe, Clarinet, Trumpet I, II & III, Horns I & II, E-Flat Alto Sax, Trombones I, II (III), Tuba, Percussion, Timpani, Harp, Violins, Violas, Cellos, Basses.